Last year, CSCOE embarked on a journey with our schools to publish a book titled Ask the Archbishop. 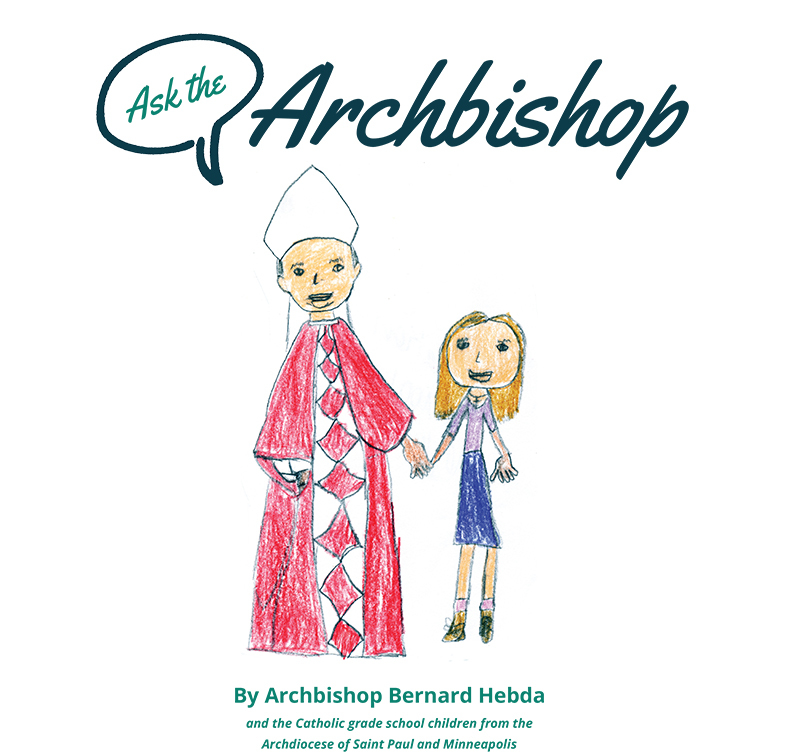 Led by three teachers from Visitation Catholic School in Mendota Heights, hundreds of students submitted their burning questions for Archbishop Bernard Hebda. After the team narrowed down the students’ questions, Archbishop Hebda personally responded to those selected for the book. The correspondence and other student artwork were compiled as a book. To secure your copy, visit a Catholic elementary school in the Archdiocese of St. Paul & Minneapolis, or one of the following bookstores: Leaflet Missal, St. Patrick’s Guild and the Red Balloon in St. Paul, and the Wild Rumpus in Minneapolis.